Since 1963 the name Rolla has been synonymous with the highest quality, most efficient propellers in the world. What started with Philip Rolla individually designing and crafting race-winning propellers has grown to become the leader in propeller technology for high-performance pleasure and commercial craft as well as military vessels. Computational fluid dynamic (CFD) hull analysis, along with countless trials and thousands of successful applications, gives Rolla an unmatched technology database for designing world-renowned propellers. A dedicated pattern for each application assures reliability, performance, and longevity. Rolla propellers can be designed to meet any classification register, including Lloyd’s Register, ABS, RINA and others. 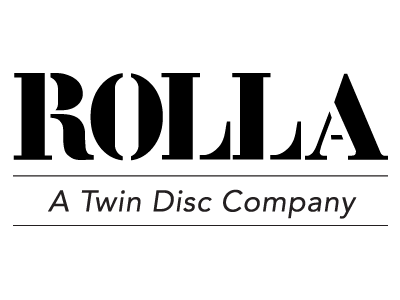 MIT have represented Twin Disc in the UK for over 35 years and are proud of this long-standing relationship. Tailoring our customer needs with TwinDisc solutions for a variety of applications. Rolla fully submerged propellers start with software analysis of all possible shapes and inputs, including diameter, number of blades, skew, rake and more. We determine the best possible design for the application, then use CFD to fine-tune the propeller load and detect any potential cavitation or flow problems. Rolla surface-piercing propellers are designed through systematic tunnel testing. We consider the lateral, vertical and horizontal thrusts combined with different diameter and pitch options to determine the optimum propeller for each application.